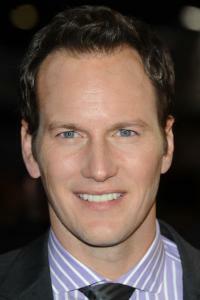 Patrick Wilson (Patrick Joseph Wilson) is American actor and singer that was born on July 3, 1973 in Norfolk, Virginia, USA. His mother Mary Kay Wilson was a voice teacher and professional singer while his father John Franklin Wilson was a news anchor for WTVT in Tampa, Florida. Patrick brother, Mark became a news anchor and reporter for WTVT. He is 6' (1.83 m) and is from English, Welsh, Scottish and German ancestry. Patrick lived for the most part of his childhood in St. Petersburg, Florida. He began singing for Broadway musicals in 1996 and that lead him to receive lead singing roles. Some movies that he is known for his roles are Angels in America (2003) playing play Joe Pitt, The Alamo (2004) playing William B. Travis, The Phantom of the Opera (2004) playing Viscount Raoul de Chagny, Little Children (2006) playing Brad Adamson, Watchmen (2009) playing Dan Dreiberg/Nite Owl II, The A-Team (2010) playing antagonist Lynch, Insidious (2010), The Ledge (2011), and The Conjuring (2013). Patrick married actress Dagmara Dominczyk on June 18, 2005. Dagmara is Polish-American and graduated from Carnegie Mellon in 1998. Patrick also graduated from Carnegie Mellon with a BFA drama degree in 1995. He received the Charles Willard Memorial Award for Undergraduate Excellence in Music Theatre while attending Carnegie-Mellon. They have two sons, Kalin Patrick Wilson, who was born on June 23, 2006 and Kassian McCarrell Wilson, who was born on August 9, 2009. He lives in Montclair, New Jersey, with his family. 2001 - He sang "On the Street Where You Live" the Kennedy Center Honors for Julie Andrews' when she received her awards. 2010, October 29 - He sang God Bless America" at the Yankee Stadium during the American League Championship Series between the Texas Rangers and the New York Yankees. 2010, November 20 - He sang the United States National Anthem in Yankee Stadium before the Army and Notre Dame football game started. 2012, May - Patrick attended Carnegie Mellon University to give the Keynote address for his Alma Mater. In his speech, he spoke about his memories from his childhood and career. 2012, May 26 - Patrick and his brothers Mark and Paul raised $30,000 for the Southeastern Guide Dogs' "Paws For Patriots" program in St. Petersburg, Florida by performing a benefit concert. The program provides guide dogs to veterans who are visually impaired, service dogs to veterans with post-traumatic stress, and facility therapy dogs.